Southern Foodservice Management President Mike Barclay was honored with one of the industry's most coveted awards, the International Food Service Manufacturer Association (IMFA) Silver Plate Award, during the 2016 National Restaurant Association Show on May 21, 2016. 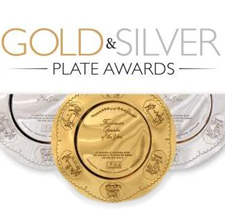 Often called the "Academy Awards of Foodservice," the IMFA Gold and Silver Plate accolades were first awarded in 1954. Awards are made in nine segments of foodservice operations: Independent Restaurants/Multi-Concept, Chain Full Service/Multi-Concept, Chain Limited Service, Business and Industry/Foodservice Management, Health Care, Elementary and Secondary Schools, Colleges and Universities, Specialty Foodservice, and Hotels and Lodging. Southern Foodservice Management's Barclay was the Silver Plate award recipient in the Business & Industry/Foodservice Management category. Award winners, considered the top operators in the industry, are chosen by a distinguished jury of trade press editors and previous award winners. "I am proud and honored," Barclay said about Southern Foodservice Management's Silver Plate award. "Also highly thankful to the great group of friends, fellow Southern Team Members and others who were involved in my nomination and the subsequent support process which led to this wonderful Award. I’m looking forward to becoming a member of the prestigious IFMA Silver Plate Society."